Join authors Karen Smythe and Ian Colford for a joint author reading. 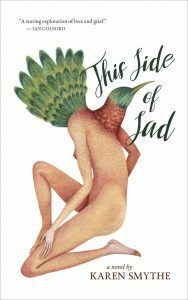 This will be the Halifax launch of Karen Smythe’s new novel, This Side of Sad. Ian will read a new, yet-to-be published piece of fiction. Part mystery, part elegy, This Side of Sad begins with an ending: the violent enigma of a man’s death. Was it an accident, or did James commit suicide? In the shattering aftermath, his widow, Maslen, questions her own capacity for love and undertakes a painful self-inquiry, examining the history of her heart and tracing the fault lines of her own fragile identity. What emerges is a mesmerizing tour of a woman’s complex past, rendered in the associative logic of memory and desire. A gifted storyteller reminiscent of Alice Munro or Joan Didion, Karen Smythe finds poetic complexity in the seeming trivialities of the ordinary. 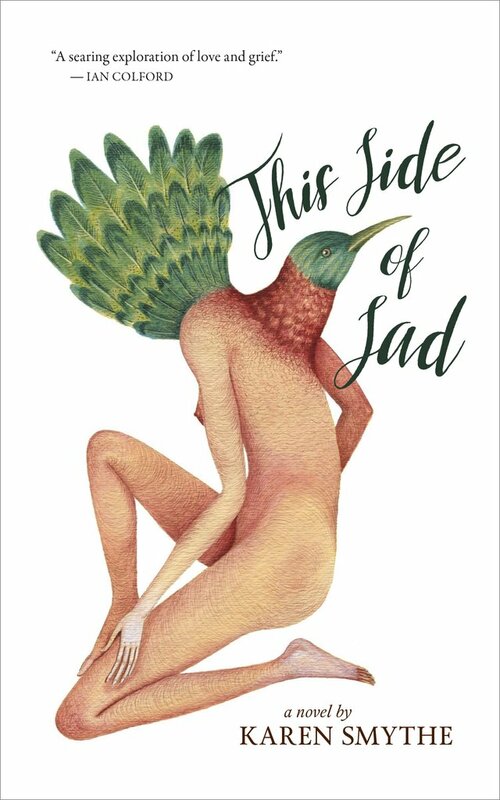 Meditative, philosophical, and confessional, This Side of Sad is a provocative and piercing novel that explores the disintegration of a marriage; the enduring colloquy between the living and the dead; and the meaning we find within the random architecture of despair and joy. Karen is the author of a short story collection, Stubborn Bones, and Figuring Grief, a groundbreaking analysis of the depiction of mourning in fiction by Mavis Gallant, Alice Munro, Virginia Woolf, Edna O’Brien, and others. Her stories have also appeared in Grain, the Fiddlehead, the Antigonish Review, and the Gaspereau Review. She lives in Guelph, Ontario. Ian Colford is a fiction writer living in Halifax. He also works as a librarian for the Dalhousie Libraries. His stories, reviews, and commentary have appeared in Canadian literary publications from coast to coast and in journals published online. Evidence, a collection of short fiction, won the Margaret and John Savage First Book Award and was shortlisted for the Danuta Gleed Literary Award, the Thomas Head Raddall Atlantic Fiction Prize and the ReLit Award. The Crimes of Hector Tomás won Trade Book of the Year at the 2013 Alberta Book Awards. Perfect World, a novella, was published by Freehand in 2016. Books will be available for purchase at the event. All are welcome.